Show your piano videos here. We welcome you to show the piano world how talented your are at playing. Get recording and get seen! I found this on YouTube… It’s a piece by Tempei Nakamura called “Ichigo-Ichie". It’s one of the most beautiful pieces I’ve ever heard. Listen to it 2 or 3 times and you won’t be able to get the music out of your head. A swedish train company wanted to get more people to use the stairs rather than the escalator. This entertaining video shows how they did it! It’s really amazing how they came up with this idea. I think this should be implemented across every train station in the UK. Brilliant – thank you very much. Whoever thought of it is a genius!! Great video, thanks for that, that was really fun to see. I miss my digital piano so much when I am at work that I decided to build my own virtual piano so I can still practise, ha, ha, ha. PS I’m loving learning to play the piano, wish I had done it years ago. It was brilliant, I love it hope to have one someday in my country, thank you for sending me such awesome video! That was amazing! should do something like that here. Kids (and adults) would be on there for hours and good exercise as well! Listen Graham, if people go tripping the light fantastic on the stairs they may well come a cropper. I thought pianos were for meaningful tones not meaningless. Actually I prefer stairs to escalators. Seen some nasty things on escalators, so if the novelty encourages safer journeys, why not. I’m always amazed at how ingenious people’s minds are, and that’s not a bad thing I guess. Brilliant! That’s how to get the whole world playing the piano. The video is just great! Yes it did cheer me up Thanks for that! Excellent – I love it! fun can make things happen sometimes. Thanks for sharing this with me. My son enjoyed this a lot! This was great – thanks! We are very much enjoying the yamaha digital piano that you helped us choose. Hi Graham, Thanks for the piano stairs E-Mail!.Didn’t it look exciting? I would love to try that.I appreciate you keeping in touch and sending me these interesting things. Thanks again and kind regards. Janet. lol Thanks Graham. That was pretty cool! inspiration on my piano playing. Could be ne new obesity cure….. Brilliant! Thanks for the share, Graham! everyone else mad! Thanks so much for sending me this. Funny enough as part of my research buying a piano I came across the video… Not looked at your link but pretty sure it’ll be the same one … Hilarious and v effective making people use the stairs, the healthy option! Did you see my piano stairs movie I made on Facebook? Thanks for reminding me about Swedish musical stairs! I thoroughly enjoyed this video. Thanks for sending it. I look forward to the days when London adopts it! Brilliant, thanks, I now realise how I should be playing! just now. I really love my piano. Ei Graham, thank You! It’s fantastic! What fun, Graham. Thank you for sending me the video! It would certainly make people more fit as well as give them a cheery life in the mornings or evenings. I have been enjoying my piano playing – when I can. Thank you for keeping in touch. That is a fantastic idea. Great fun and exercise. Thanks for sharing. Many thanks for such an original and fascinating video. It did however leave me with the uneasy impression that those people using the staircase were better piano players than me. My fingers are not what they were. However, so long as one has fun! Is it possible to feel sorry for a piano? just shed a tear or two like I did. Thanks for sharing this video! It is really a heartbreaking video. And yes, you can feel sorry for a piano! I’d have loved for it to have been rescued and kept giving pleasure for years to come. Thanks for sharing the video, really interesting, if a little sad. A beautiful and sad story. The way it ends made me think that this is the end of culture, respect and empathy. When I leave this world i hope to be treated in a more decent way, as I will for MY still beautifully looking and sounding Hornung & Maller grand from 1897. Thanks for the post. Fine documentary and sad but true story end for many pianos and even grands. Many thoughts came to mind but just now I remember the film “Love Story”. Oddly I feel some similarity.  If there would be some blog related to the topic I possibly could attend…. so many thoughts….. I myself have a 100 year old piano in my garage. However, it has been there about 40 years since nobody has played with it but basicly hers parts are in incredibly good condition. It has very very nice “honky-tonk” sound with good and deep bass tones. I am not giving it away (I have offered to many with demand that it will not be destroyed but nobody wants). I would made it reconditioned and play it but just now I have not enough room in my apartment. Oh, and its tuning is about A=425 Hz and it cannot be raised. But the sound of those old pianos…. there is no modern equivalent. In the document the young boy playing it seems to be very happy a moment when he hears the sound of this old piano. Than kind of happiness is rarely seen in nowadays stressy life. I thought this short film was deeply moving and even bordering on brutal at the end, very moving. It is sad to see a piece of old workmanship going to waste. But I cant help thinking that no-one would have given a second glance to an old Casio keyboard chucked on the pavement. When we acquired our old piano, we had a local piano tuner, Julian Philips – Boogie Woogie piano player par excellence, cast his eye over it. He said it obviously had a history being 120 years old but he has managed to tune it up and it plays just great – well it sounds great when he’s playing it anyway. So why chuck it away? When things are well made they just seem to command respect. How can anyone be so heartless! Those vagabonds! They need to be strung up themselves! Sometimes humans like that dissapoint me, animals are better, so I wouldn’t call them an animal. Thank you for your kind information of the end of life of the piano. Yes, it was very sad story and I agree with you that I felt same sentiment with you. also Tokyo Japan and I’m retired now and last 30 years I was piano tuner technician. Piano is not machine to me and it has own soul so that I can’t to do it. (get rid of it). Thank you very much for reading my mail. Thank you for the video, it was really sad(( Thanks, Tatiana. So beautiful and heart-wrenching. See how everyone loves a piano! Thanks for sharing that movie. I enjoy your emails. They’re unusual and special in that they 1) Aren’t frequent enough to become annoying, and 2) Always have interesting content. I was totally moved by watching the video. It made me realise the wonderful value of piano sound and the magic of playing this wonderful instrument. I was moved to realise that people may not compliment a piano player in action however there is a subconscious interest . Loved it. I shed a tear too. really weird. How sad ! It felt like losing an old friend. I found it rather poetic in a bit of a sad way, but one thing irritated me a bit (and made it more sad). Hi Graham, I always feel sad when this happens, especially when it just gets smashed with a sledge hammer, if it could still be played you would have thought that a charity would may be able to give it a good home. Thanks for sharing this film with me. It was really instructive. It showes how music affects to the people. So many stopped to play on it. Even if they have no any knowledge of music. I think the world would be different, if more people had the possibility to listen or play music in reality. It is something different than listen to the radio. And of course, an old instrument like this, has a strange effect on people. Except ones…who are still in a lower spiritual level. So yes, we can cry on objects. I cannot really describe it why, just feel it. Perhaps, cause we have experiences with them. You know, similar or the same as with another person. Who you have lots of experience with. Of corse, in this case those people who sopped and played, or we who are just watching this slideshow, have no experiences with that pianino, but we can imagine its past. And it can be enough to cry. hello Graham, I used to like sad films, stories songs and poems. Now I just prefer to turn away from them. There’s one hell of lot going on in the world around you to make you sit and cry 24 hours of the day. Brush those tears frin your eyes and try to realize that nothing lasts forever. Curiosity at first but later, it was so heartbreaking to see the piano been torn apart! The piano brought pleasure to so many passers-by and so sad to see it in pieces. The film was very well made. It was really sad watching it to get destroyed! They could have used it as a monument. However, it makes you think that usually objects live longer than their owners. They get round many generations when so many owners of them come and pass away!!! and they keep the secrets of everyone unrevealed! It the “End” it was cruel – I mean; that felt like murder. And it certainly reflects a small (I hope) part of today’s “culture”. But the soul…? The soul Graham-what happened to the soul – Is there really a heaven for pianos ? I think heaven is on earth for these little fellas because in order to breathe they need someone to play with them. On the other hand there is Franz, Frederic, Sergei, Arthur, Vladimir and so many others waiting Up there….so who knows…? when i am ready to shed tears i’ll turn to this interesting video. i do not like to see pianos die. Beautiful and tragic. I have been trying to “sell” our Kimball console piano on craigslist for a minimal commitment of $25, to make room for a Yamaha electronic piano, with no success. I suppose the piano will remain part of the family until I can find someone who values it. I will not put it on the street! Also a great object lesson for my young-adult children. Thanks for sharing this video. sad, nostalgic, compelling, indefinably beautiful and totally unforgettable. It is a treasured addition to my small collection of videos. but I think we have something in common. Thanks for the email. What a pity it was a set of still photos, it would have been a lot better had it been a video with sound. Didn’t they do a similar thing in, I think it was Cambridge, last summer without the smashing up bit. There were some quite accomplished pianists who stopped to have a play. This story is very poignant and strangely human and warm. Yes it made me sad. Thanks for sending me the link to the video. Well, what can I say, sometimes all the words you know and use aren’t enough to express your feelings. I’m just gonna say one thing: have been thinking about that video during a day and will be thinking about it tomorrow and a day after tomorrow. It’s something which is not easily could be kicked out of your head. Thank you for sending the link. “Bonita”, realistic and poetic story, but really sad. I wonder who dare to abandon a piano…. Thanks for sharing that. It was sad, if the lady could come sooner she could put more history into that piano. A piano when played could bring a moment of peace to ones soul especially in the stressful modern life we live in now. My two girls love to play their guitars and their portable keyboard, and not a day passed by without them playing it. It is their favourite hobby. They teach themselves and always learn new modern songs. At times I know they wished they could have a proper piano. Current economic climate where employers hardly give a basic payrise to meet the standard of living make it impossible to purchase one but I never give up considering that one day maybe, we can afford to get them one. I have never thought of the “value” a piano actually has. I would say an instrument in general, but I feel that a piano is more like a music organism (among others I think its size helps on this direction) and the video proves this. I was also surprised by the fact that ordinary people, most of them probably with no solid relation to music, were touched by the image of a lone piano and maybe thought that there are things whose value cannot be estimated by the capital laws we all are aware of. This “value” is too high however. I think that image woke up memories inside them. In the end, there are things that can just travel you so far. Really nice music, really nice film. I was touched too! Thanks for sharing. The world’s largest piano was created by Adrian Mann. He started the project at 16 years old while he was still at school. It took him 4 years to build. The idea behind it was to simply have a superior piano to play on. Hear and compare the Classenti digital pianos: CDP1, CDP2, CDP3, P1, and GR1. A/ After years of research and development, Classenti has patented a new piano action mechanism called “Real Hammer Action Mechanic With Adjustable Action Point”. In plain English, this really means: The moving parts that are connected to the piano key have been designed to feel exactly like a real piano. For instance, if we were to buy another piano from you and they were in good condition, what would you buy them back for? (this is not a meant to be a commitment on your part, but just to get an idea comparing them). A/ Classenti digital pianos have got a good resale value. A two year old CDP2 should sell for between 70% and 80% of the price you paid for it. A two year old CDP3 should sell for between 65% and 75% of the price you paid for it. This is assuming you keep it in good condition, of course. If you want to upgrade to an upright piano later then we would offer you an attractive part-exchange price. A/ There aren’t any stockists of Classenti digital pianos in Ireland. 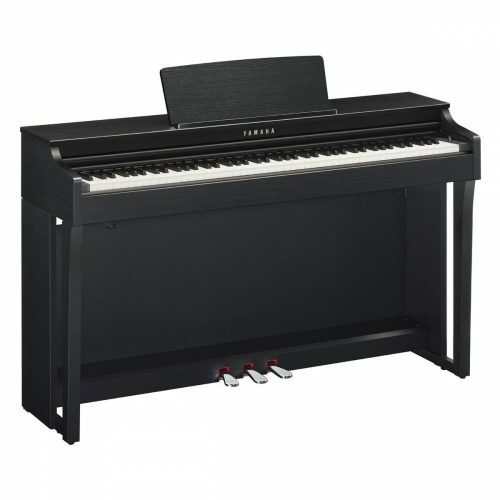 Classenti digital pianos can only be purchased online. Classenti offer a ’60 day money back if you’re not satisfied’ guarantee. This way you can try the piano out in your home without commitment. 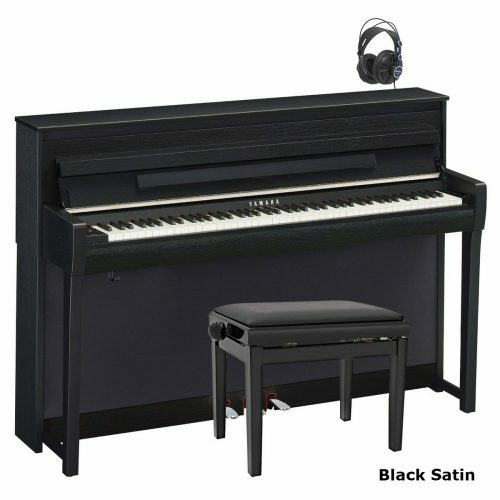 Q/ I’m interested in the Classenti CDP3 Polished Ebony digital piano. Please could you give me some more information about how the 5 year warranty would work as we are in Glasgow. Also please could you let me have some more details about the 0% finance deal that you offer. A/ The 5 year warranty is from us. If you had a problem then all you would need to do is call us. We would then send a technician to your home to sort it out. We have many technicians in the Glasgow area. So it would be very easy to arrange this. With the finance deal you would need to pay 50% of the piano’s price. The remaining can be spread over 6, or 12 months interest free. If you would like to discuss this further then please call us on 020 8367 2080.